​The master negotiator. Adam is renowned as the deal maker. 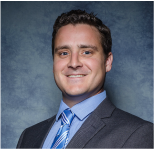 With more than 10 years experience and his negotiation skills Adam is a favourite of our clients. An outstanding member of our team. Alison has added Tier 1 insurance compliance to her formidable accounting qualifications. Alison manages and co-ordinates the accounting and financial functions of the business. ​A lifetime in insurance, Helen is a consummate professional. Her commitment, availability and loyalty has seen her client relationships measured in decades rather than years.. Helen is justifiably proud of those relationships and the trust her clients demonstrate in her abilities to continue to meet their needs. Karen brings with her great enthusiasm, and a bright personality. Karen is processing for some of our more senior brokers and is gaining knowledge that will assist her in furthering her career with Austbrokers Central Coast. 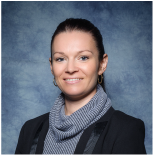 Lara started with Austbrokers Central Coast in late 2014 and brings with her plenty of office experience. Lara is eager to learn and will be handling administrative duties. ​Michelle is not just a Qualified Practicing Insurance Broker but also holds a Certificate of Accountancy. Combined with over 28 years in the industry and her ability to get the job done under pressure, makes Michele an outstanding choice as your insurance broker. ​Peta is an Insurance Professional with over 20 years experience. With a strong background in all classes of general insurance and experience of all aspects of the insurance transaction Peta is great to have on your side. Peta is a proud 4th generation Central Coast resident who works tirelessly for her clients. ​​Bob has over 50 years in the Insurance Profession and started the Austbrokers Central Coast operations in 2003. He is a passionate and professional Insurance Broker and enjoys servicing his widespread client portfolio. ​Roger spent 25 years growing one of the largest Insurance Broking firms on the Central Coast. After selling his interest in 2005 Roger spent several years in the Sydney market honing his skills on large and complex risks. You can benefit by dealing personally and locally with a broker who has handled some of the most complex and diverse risks in the Australian market. Shannen started with Austbrokers Central Coast in May 2015. Her previous experience working with an underwriting agency has equipped her with experience and knowledge in the processing and administration area of insurance. Shannen will be responsible for assisting with administration duties as well as assisting Account Executives. Shannen looks forward to continuing her career here at Austbrokers Central Coast. ​Shiralee has been with the austbrokers central coast team since 2009, but has been actively involved in the Insurance industry for over 20 years. ​Persistent and committed to getting the best outcome for our clients. Stephen has worked in the London insurance market and brings his experience and considerable negotiation skills to the fore when resolving claims for our clients. Trevor has held senior positions with Australian Underwriters. He brings with him a wealth of experience and contacts. Relationships and going that extra mile are key with Trevor, the newest member of our team.